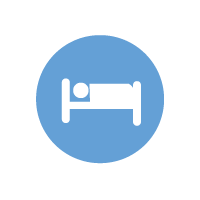 Surrounded by the wild and beautiful countryside the Radisson Blu Hotel & Spa is and easy 5 minutes drive from Sligo centre. Business travellers will find Finisklin Business Park just 5 minutes away and the leisure guest may enjoy a round of golf at the renowned County Sligo Golf Club or a trip to the beach at Rosses Point village just 3km from the hotel. Sligo is a thriving city, boasting wonderful shopping, enviable outdoor activities, surfing, golfing and angling to mention a few and impressive historical,cultural attractions and a lively cafe and pub culture for that night out! 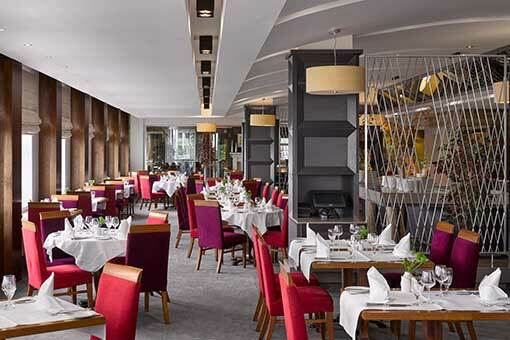 Sligo’s only 4 star city centre hotel, AA Rosette Winning Kitchen Restaurant serving lunch and dinner. Cafe Bar food running all day. Our family friendly bright airy restaurant overlooks a walled garden and an inviting bar, serving the best of local ingredients. 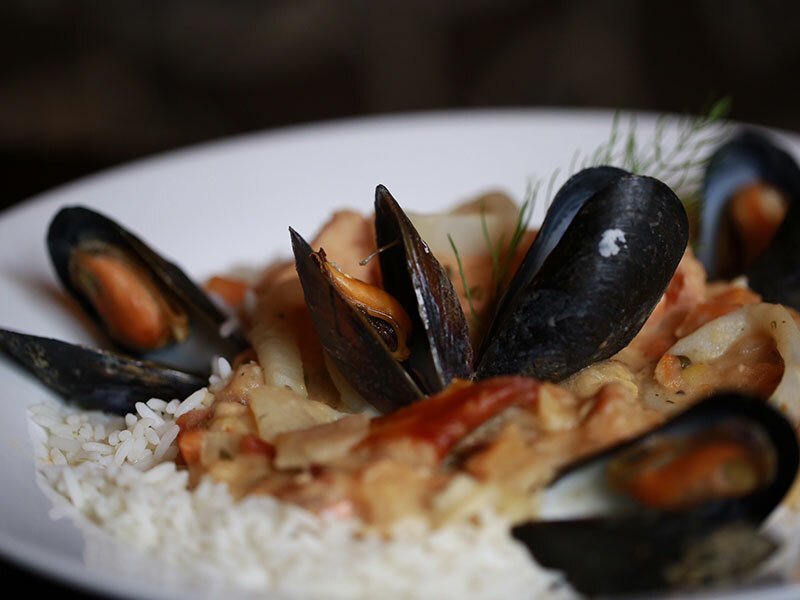 Our Seafood Chowder and our Irish Stew are of international renown. Quality Irish meat is sourced from local butchers Noel Wynn Meats, Derek Sherlock Meats and artisan sausages from Sheerins and Hodgkins of Ballymote. Oysters and shellfish delivered fresh from Sligo/Donegal feature amongst our most popular dishes. Gluten and dairy free options are available including our full Irish breakfast, which is freshly grilled to order. 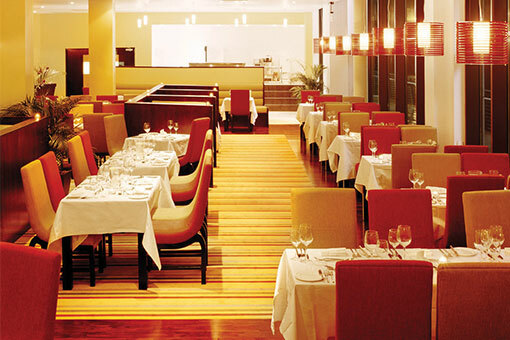 Our traditional Irish lunch menu is followed by Continental “a la carte” and bar menu. Guesthouse open all year around. You can stay for bed and breakfast, (dinner if you wish), hold a house party or hold your wedding at Temple House, a beautiful country house set in the idylic surroundings of a 1000 acre family estate. 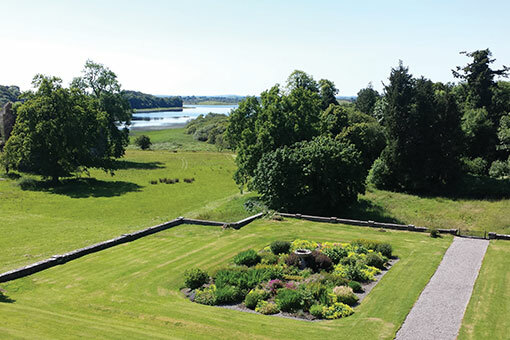 Terraced gardens sweep down to the lakeside castle of the Knights Templar and native woodland provides the woodland to contented sheep grazing on lush green pastures. Boats are available to row on the lake where you can see a ring fort and two crannogs. 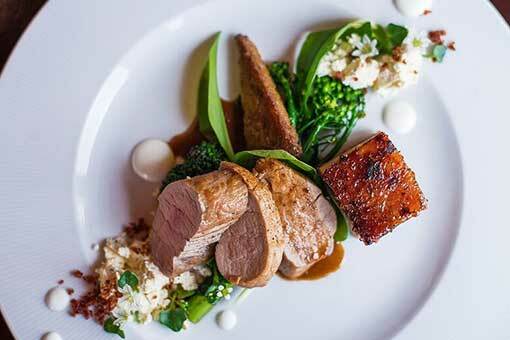 A recent winner of Georgina Campbells Guide “Country House of the Year” and “Breakfast of the Year” every aspect of your stay will be special.